Editor's Note: Over 40,000 Rohingya refugees are living in India. 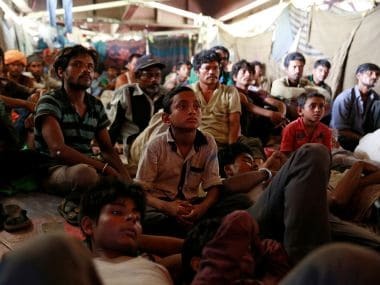 The Government of India's recent announcement to deport them back to Myanmar has worried not just the Rohingyas but also refugees from other parts of the world now living in Delhi. In this four-part series, Firstpost will look into the condition of these refugees and how the Centre’s stand has sent chills down their spine, many of whom say they have no homes to go back to. Everyone loves to romance a war that has ended. Outside the ambit of geopolitical developments, Myanmar was best forgotten as Rangoon, a colony separated from India in 1937, a place where colourful pagodas, hardwood teak and kinnari dancers wearing pointy headgear once roamed. It's 2017 and Rangoon is now Myanmar; its refugees on Indian soil are a living and constant reminder of what life in that country is like. In the north-western state of Rakhine, in Buddhist-majority Myanmar that borders Muslim-dominated Bangladesh, a military campaign is on to wipe out insurgents. The Arakan Rohingya Salvation Army (ARSA) is fighting against the state for the liberation of Rohingyas, who are being mutilated, tortured and forced to leave, only to be driven back by the Bangladesh border forces. An article on the UN News Centre website states: "The humanitarian situation in parts of Bangladesh sheltering hundreds of thousands of Rohingya refugees continues to deteriorate, making the crisis one of the fastest growing refugee crises of recent years, according to the United Nations. According to estimates, some 3,80,000 Rohingya refugees, fleeing violence in Myanmar, have crossed the border into Bangladesh since 25 August (2017)." After the Indian Government's stand on deporting close to 40,000 Rohingya refugees, claiming that they had links with the Islamic State and Pakistan's intelligence network ISI, other refugees from Myanmar in India are worried that they too might be asked to go back and the assumption that they're some kind of a terror threat is going to make life harder for them. In Myanmar, the largest minorities are Shan (nine percent) and Karen (seven percent). Other indigenous minority groups include Mon, Rakhine, Chin, Kachin, Kayan, Danu, Akha, Kokang, Lahu, Rohingya, Tavoyan, and Wa. 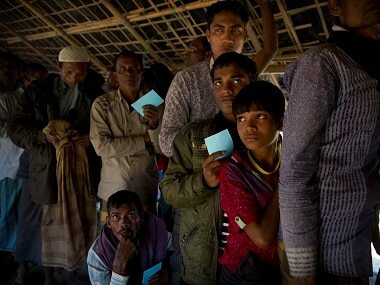 Replying to a query posed by Firstpost earlier in the year, the United Nations High Commissioner for Refugees (UNHCR) had said, "There are around 5,000 Chin refugees and asylum seekers from Myanmar registered with the UNHCR in India. 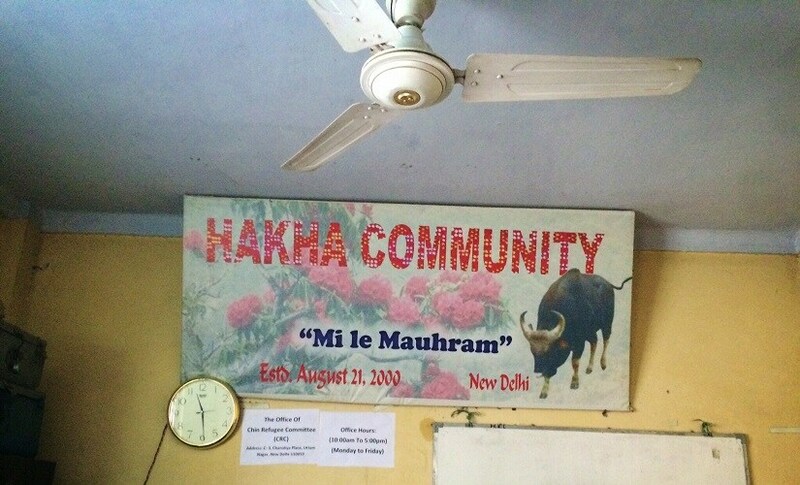 The Chin community lives mainly in West Delhi and many of them have been in India for a long time. 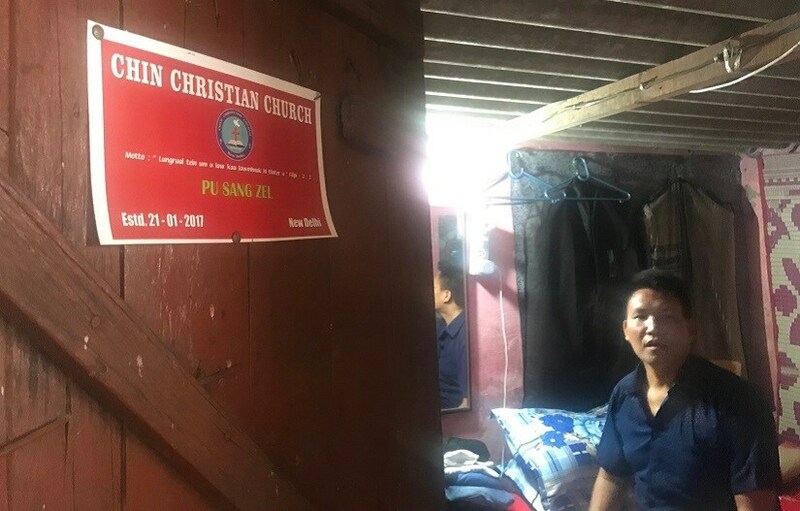 While the financial condition of many Chin refugees is weak, most of them are working in the informal sector to support themselves and their families,"
"Many Chin refugees have also been issued long-term visas which are expected to ease their access to higher education and employment opportunities in the formal sector." It should be noted that the UNHCR identification card given to refugees in India has no legal validity, which is why employment in the formal sector or booking train tickets or even acquiring phone numbers becomes nearly impossible for them. To separate truth from conjecture, Firstpost visited the refugees in their homes at Janak Puri, Vikas Puri, Sitapuri and Bindapur – nondescript postal codes in West Delhi where a large number of homes are carelessly constructed and often threaten to collapse; small shops selling cell phone batteries, bags and groceries pop up randomly, anywhere. What took us to these homes weren't Delhi's large roads, but reedy streets with open drains and open wiring on either side, where people from the Chin community were seen selling Burmese samosas (though square shaped but with the familiar Indian filling) and tiny packets containing frogs cooked with bitter leaves. Owing to their mongoloid features, neighbours often refer to them as 'chinky' and conveniently assume that they're from one of the North Eastern states. "We are not Muslim, we are Christians and we left our country because the Buddhist state forced us to leave. 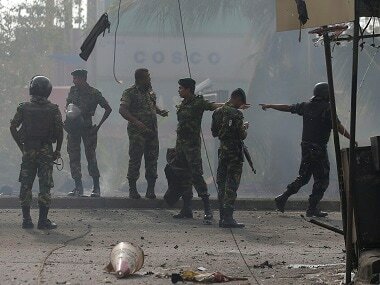 We left our education, our homes, our lives and we didn't come here out of choice," said 31-year-old Cing Dwat, who was a BSc student at Kaley University in the Chin region of Burma when Buddhist monks set his neighbourhood on fire during a demonstration. He came to Delhi in 2008. He added that people come here from different Chin tribes, such as the Zomi, Tedim, Falam, Cho, Hakha, Mara and Mizo (Mara and Mizo tribes share their ethnicity with tribes from North East India). Dwat alleged that in 2013 and in 2015, the locals attacked the community and neither the police nor the UNHCR looked into the matter. "We feel insecure all the time. Our history, our culture, our identity don't matter to anybody over here," said Dwat. He took us into homes that were barely lit, where widows were trying to eke out an existence by stitching belts and skirts and children, who had dropped out of school because of their lack of motivation and ability to learn English or Hindi, were working rented sewing machines, plying their way into a bleaker future. Pu Bual, who is in his 60s, was a government lawyer back in Myanmar. "I am surviving with the help of my friends. After working for 36 years, I cannot earn here because I can't be employed in the formal sector," he conveyed through a translator. Ca Vang, a widow in her early 40s, shared the story of how her husband was killed by what she believes was a racial mob, and neither the police nor the UNHCR took a definitive stand to inquire into the matter. "I am struggling to raise my children and I live with the burden of injustice and have no answers for my children about why their father was killed," she communicated through the same translator. Thin Hnem is 65-years-old and arrived here in 2009. 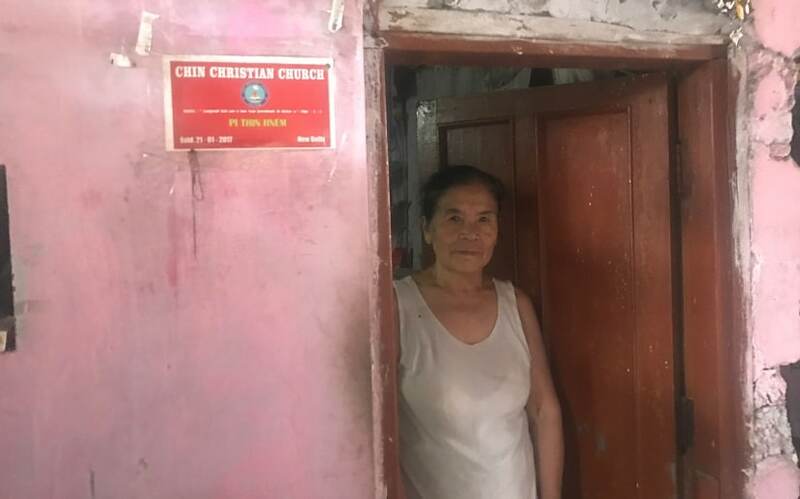 When we entered her home, she was busy crafting a metal belt, which she told us, will be exported to the Chin community either in the US or Australia. She makes close to Rs 4,000 a month and pays Rs 1,800 in rent. A strong smell of fermenting rice grips her dimly lit room, which is now her only home. 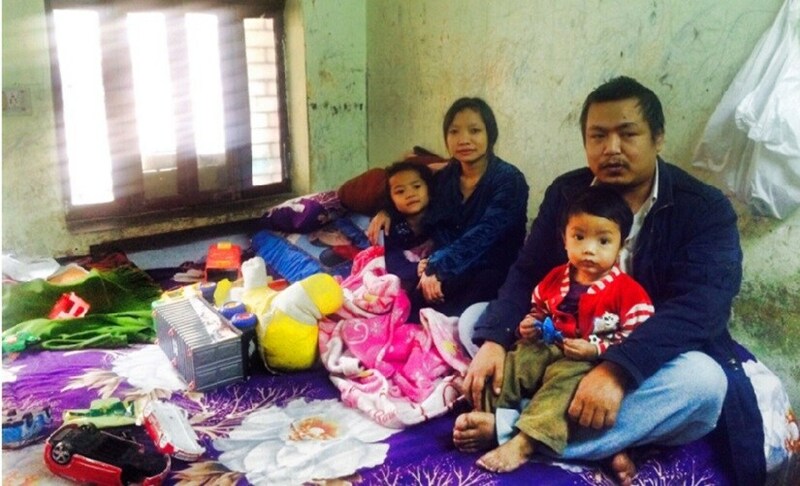 Like Hnem, Dim Hai, a 43-year-old widow, also landed in India in 2007 and has been plying in the informal sector. She has rented a sewing machine to make Chin costumes and sells them in night bazaars. 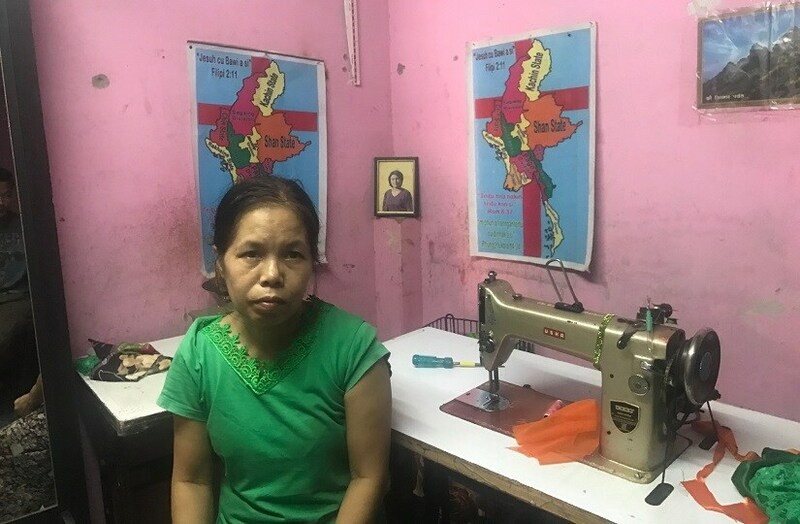 She acquired tailoring skills in a course offered by the Jesuit Refugee Service (JRS), an international Catholic organisation that works with refugees in over 60 countries. The UN partners with ACCESS, a national livelihoods promotion organisation that partners with the UNHCR. It also supports Chin refugees with vocational training and placement opportunities. Surprisingly, Hai was making a silk dress that was saffron and green and naively asked what the colours reminded us of. In 2015, JRS conducted a survey among the Chin refugees in New Delhi. Among the 801 respondents, 94.4 percent were Refugee Status Determination identity holders and 45 were still waiting to get refugee status/cards. The UNHCR carries out an RSD procedure, which starts with registration as asylum seekers. After getting this status, UNHCR provides a recommendation letter and it is only after obtaining that letter can refugees approach the Foreigner Regional Registration Office (FRRO) to obtain their residential permit, which is not to be mistaken as a work permit for employment. The JRS report stated that leaders complained of problems in this regard. Obtaining a refugee card involves a lot of time-consuming procedures like seeking appointments and waiting indefinitely for the result, along with hight travel costs to the office. "Initially, it used to take about one to two years to obtain the status, however, today, the time frame ranges from about three to nine months," the report adds. The JRS report further declared that children fall under a complex category. "In normal circumstances in any society, the rate of illiteracy (of children) tends to be lower than that of the parents. This is not the case among the Chin refugees of Delhi... about 6.9 percent of the respondents have completed graduation and 0.6 percent have completed post-graduation. When it comes to their children, the percentage has dropped to 0.9 percent for graduation and none have reached post-graduation till they completed the age of 25." Sang Lian, 47, came to Delhi way back in 2000. A single parent of an eight-year-old daughter, he said, "If the Indian government asks me to go back to Myanmar, I don't even have the money to reach the border. I have no land in Myanmar and it is not safe for us to live there anymore. 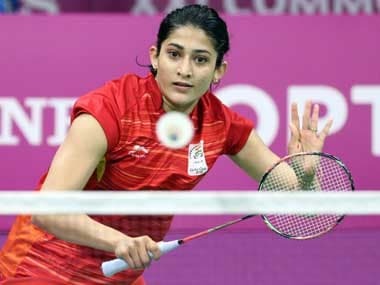 I want to live in India," he told Firstpost. Each of the Chin communities has some sort of an office where the needs of its members can be addressed by leaders vested with whatever limited powers. Lives have been displaced but a deep and decentralised social structure, a distinctive characteristic of tribal communities worldwide, has remained intact. The Chins mostly buy rejected vegetables from night markets and access to clean water and air is a luxury for them. Since India has rejected to take on Rohingyas, the Chins are a worried lot. "It is a struggle to survive here but going back home won't even guarantee the safety of our lives," a sentence Dwat wished he never had to say. Read Part II here, Part III here and Part IV here.